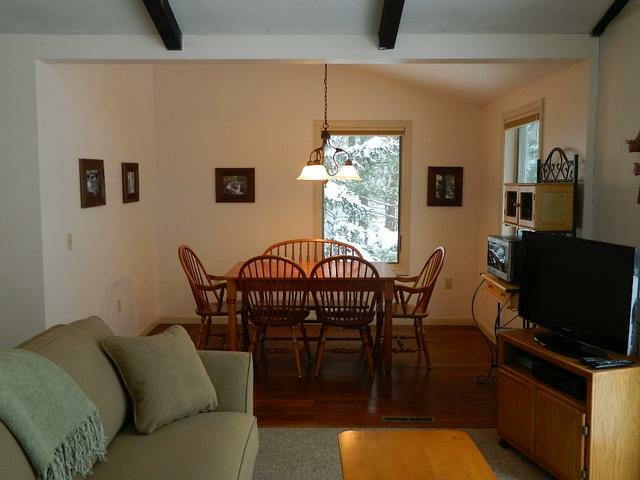 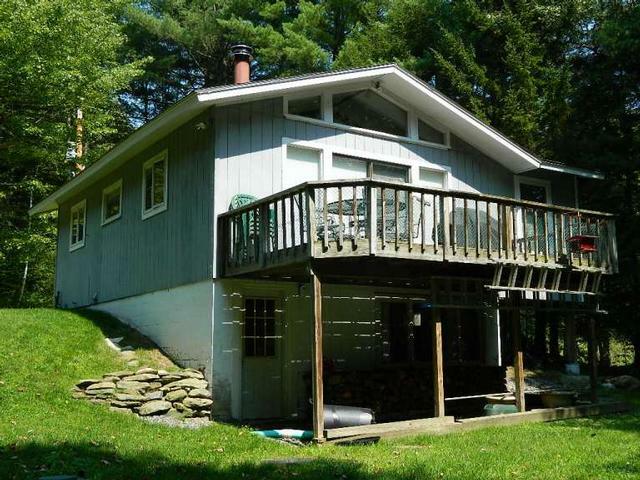 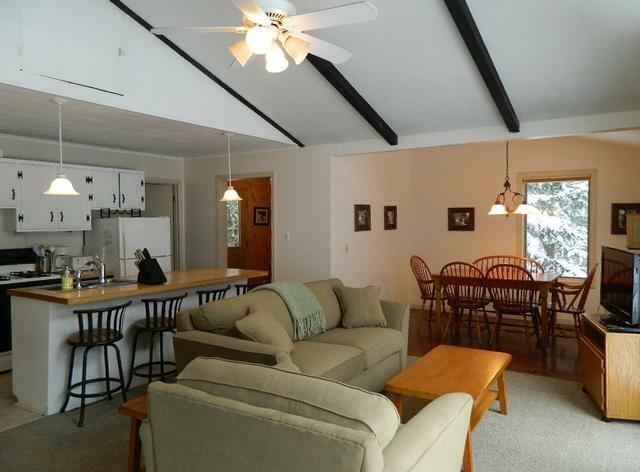 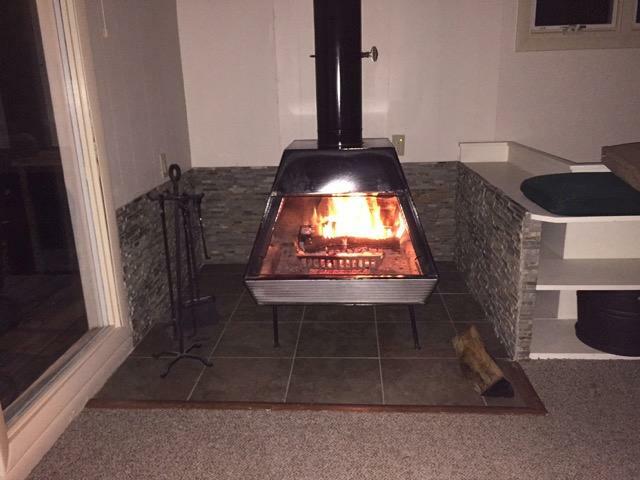 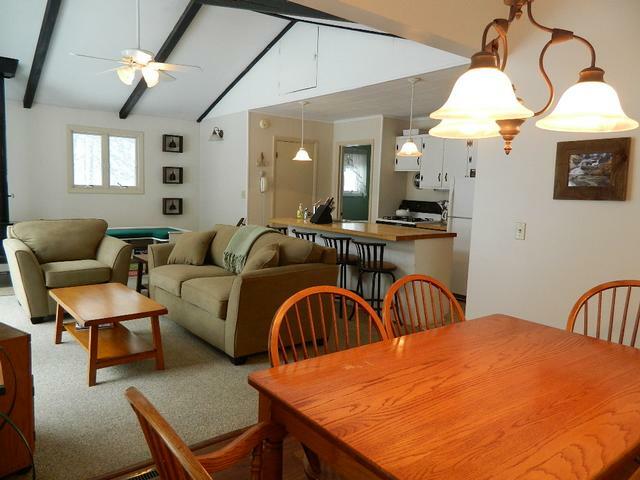 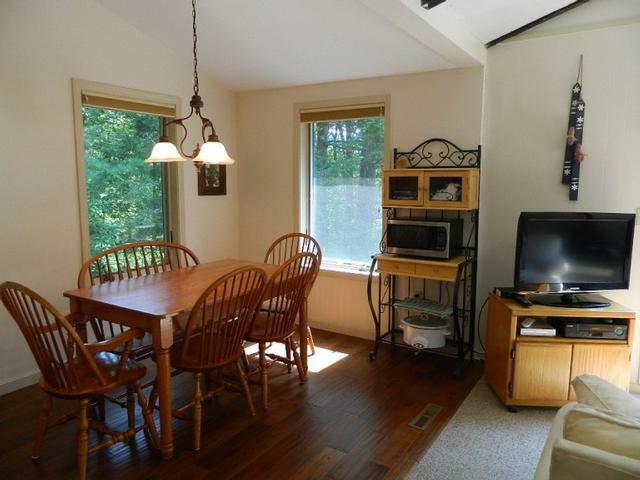 Stowe ski chalet with nice quiet location and private backyard with deck. 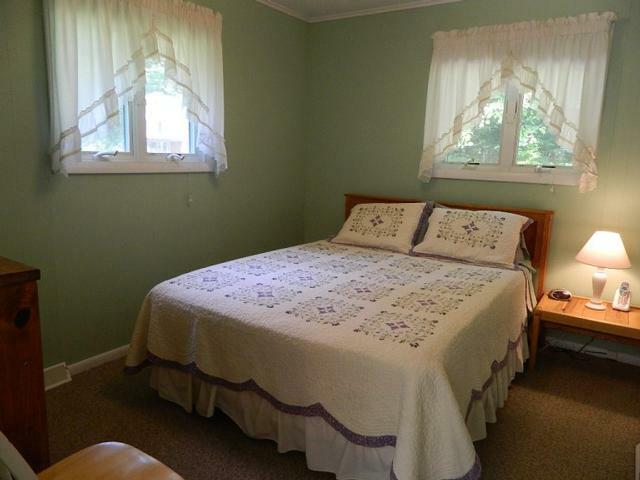 Comfortable and relaxing three bedroom home, on the main level there are two bedrooms with one full bath both rooms with queen beds. 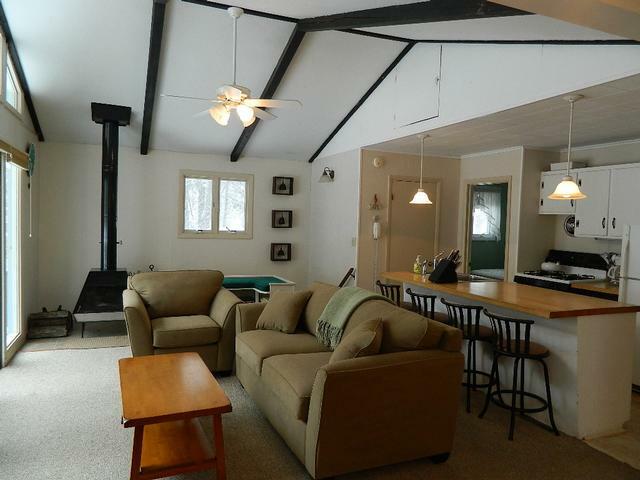 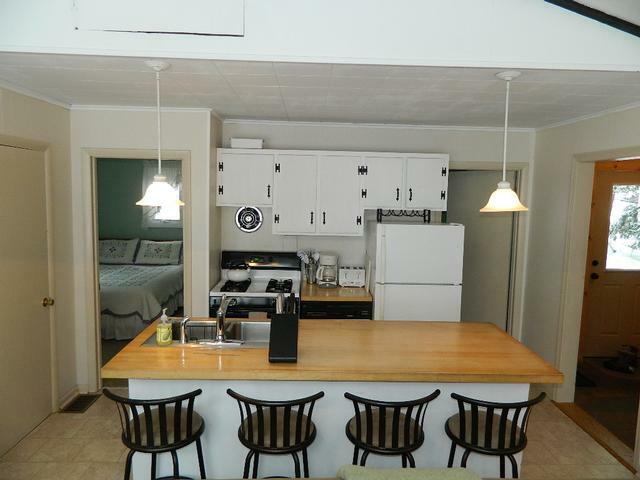 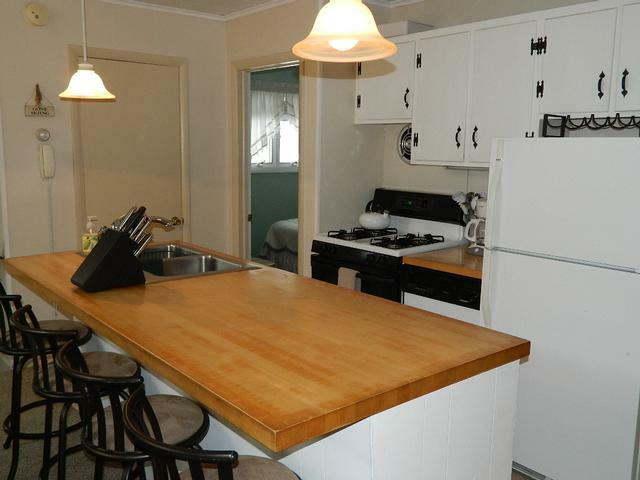 Country kitchen with breakfast bar open to the living room featuring a cozy wood-burning fireplace, comfy couch, flat screen TV with DVD player, large deck with bbq grill and outdoor furniture for the summer months, dining room has seating for 6 plus 4 at the bar. 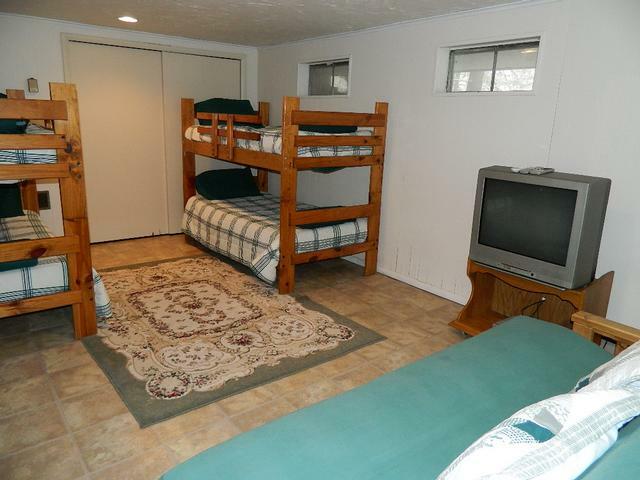 Downstairs you will find 2 sets of bunk beds with a futon bed and TV, great kids room also a bathroom on this level. 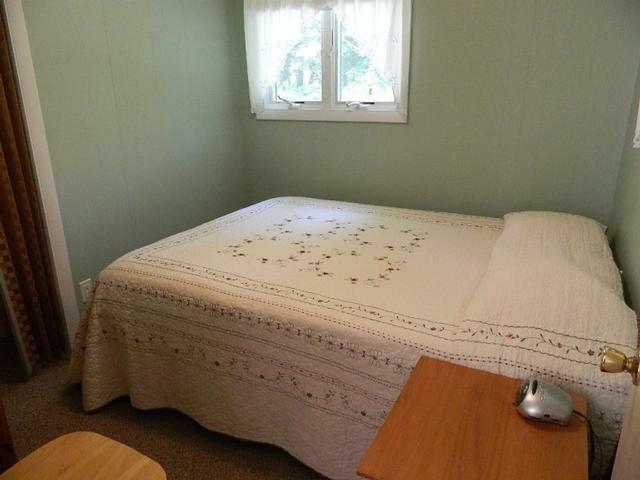 Pet friendly and nice location!